"Pippa Passes" is a short drama directed by D.W. Griffith. The film is included in our program to illustrate the work of our stars cinematographer Billy Bitzer and Arthur V. Johnson. Billy Bitzer shares the cinematography credit with Arthur Marvin. 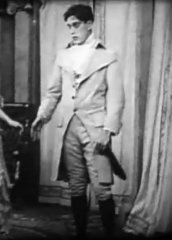 Arthur V. Johnson plays a character by the name of Luca. A girl sings with a lute and the song has a healing effect. 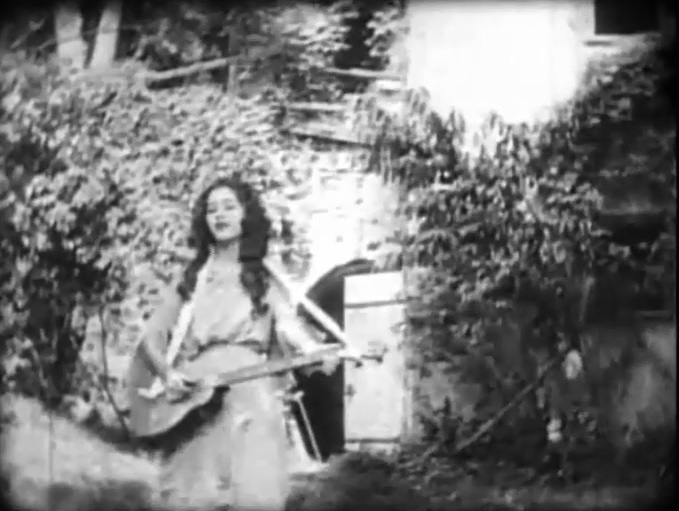 Gertrude Robinson sings in "Pippa Passes" (1909) director D.W. Griffith. Arthur Johnson talks to his cheating wife Marion Leonard in "Pippa Passes" (1909) director D.W. Griffith. 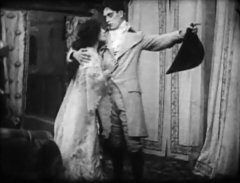 Arthur Johnson hugs his cheating wife Marion Leonard in "Pippa Passes" (1909) director D.W. Griffith. Arthur Johnson parts with his cheating wife in "Pippa Passes" (1909) director D.W. Griffith.